Strength, like the line between 2 cones, is a relative term that is not truly defined. 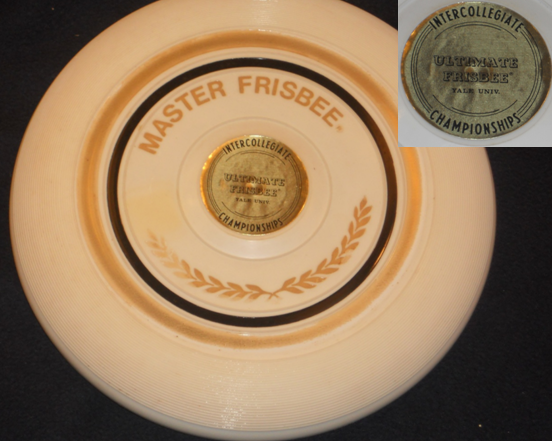 One's frisbee may be another's collegiate Ultimate frisbee. 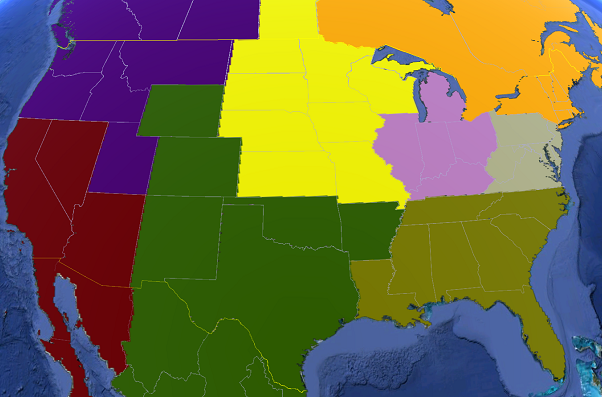 In total, 67 schools in 25 US states. 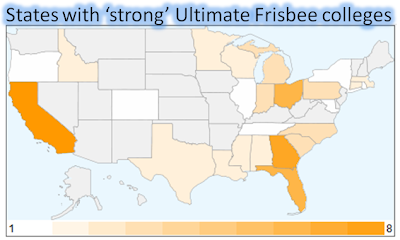 Top states with Ultimate "strength" at their college: California (8), Georgia (7), Florida & Ohio (6 each). 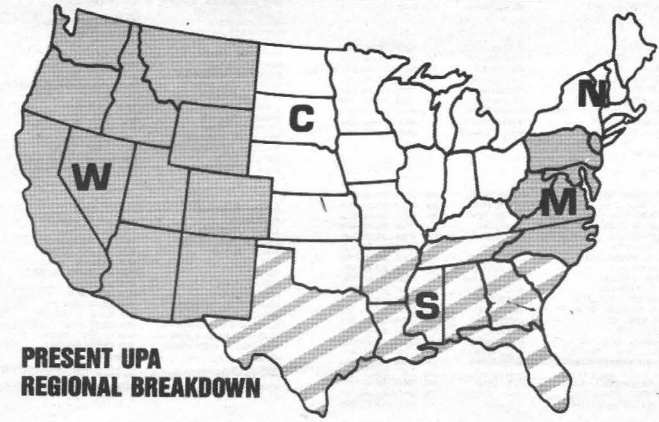 NOTE: Gray states on map = 0. Sludge's name has been exploited used in cards and comic books. Brian unearthed the Sludgeman character & pondered: New mascot? Or Charlie's (principled) alter ego? Ore Captain Sludgeman was last seen in He-Man's "Search for the Past" episode (from season two). 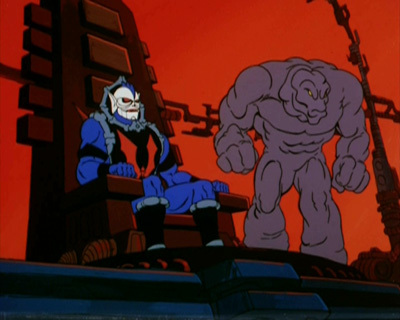 In that episode this creature was a Mud Monster, but now was being used as one of Hordak's captains in She-Ra's "Day Of The Flowers" episode. I just submitted the official web-click for Sludge to join the WAFC 2012 spring league for yet another season...Pay $25. Your registration will not be considered complete until you have filled out this form and completed the payment. Game Locations: DC-metro area, mostly at Anacostia, Montgomery County, MD, & Fairfax, VA.
As we wait until 'The Invisible String' to make an appearance, here's another historical frisbee documentary - this one on how NJ-based Ultimate spread to the west. 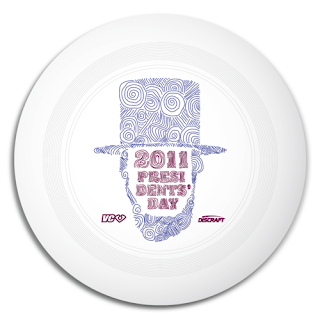 A few more weeks until the opening pull of the American Ultimate Disc League! 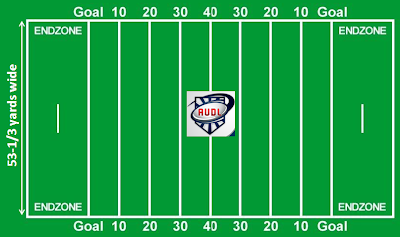 The AUDL field will be as wide as a football field at 53 1/3 yards with an 80 yard field + 20 yard endzones. 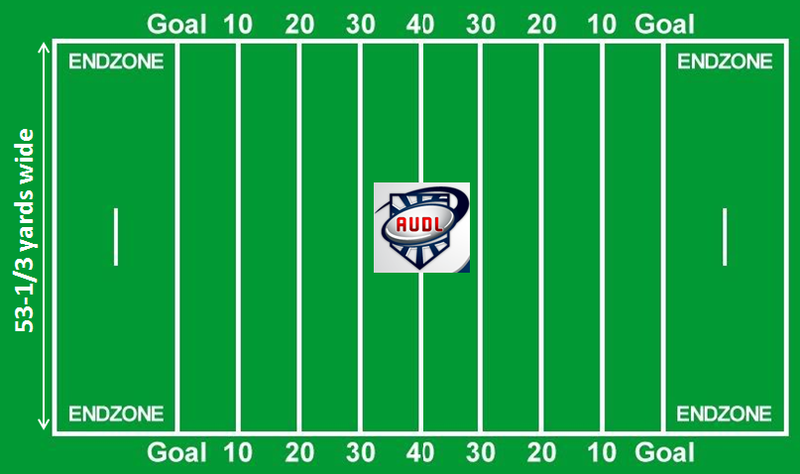 Following football seating advice, the best place to sit is at least 15 rows up from field level within 10 yards of the middle of the field [40 yard line for AUDL field]. These between-the-30-yard-lines seats will give the ticket buyer both a feeling of intimacy & perspective. You will be nearer to the action if you are closer to field-level, but your view may be obscured by crowds along the sidelines. You may also have a difficult time seeing the spacing between offensive and defensive players, the formations and seeing the play develop. Being a little higher up gives the viewer a better angle to watch the play unfold. Before Ultimate one-liners, there was this music video of solid verbals with a rap backdrop. 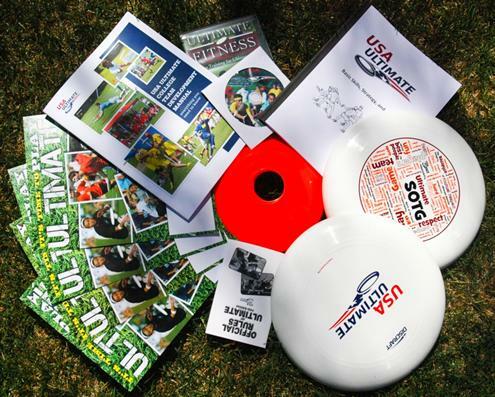 Since their store still doesn't offer discs, buying this kit may be the only way to buy a USA Ultimate frisbee. You want flow on the Ultimate field? Get your individual fill of flow. I am in... in pursuit of an elusive mental state known as "flow" - that feeling of effortless concentration that characterizes outstanding performance in all kinds of skills. Flow has been maddeningly difficult to pin down, let alone harness, but a wealth of new technologies could soon allow us all to conjure up this state. The plan is to provide a shortcut to virtuosity, slashing the amount of time it takes to master a new skill. 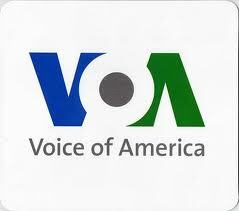 That will be welcome news to anyone embarking on the tortuous road to expertise. ...it normally takes 10,000 hours of practice to become expert in any discipline. Over that time, your brain knits together a wealth of new circuits that eventually allow you to execute the skill automatically, without consciously considering each action. Flow typically accompanies these actions. It involves a Zenlike feeling of intense concentration, with time seeming to stop as you focus completely on the activity in hand. The experience crops up repeatedly when experts describe what it feels like to be at the top of their game, and with years of practice it becomes second nature to enter that state. In one groundbreaking study, he interviewed a few hundred talented people, including athletes, artists, chess players, rock climbers and surgeons, enabling him to pin down four key features that characterize flow. Sans a formal Press Release, Patti does a self check-in. All is good for me. I'm keeping busy with work and trying not to get fat. I actually got engaged to Chris a few weeks ago. My deal was that we don't set a wedding date. Baby steps. USA Ultimate announced updates to the Club Division, starting with the 2012 season, addressing the regular season format, rankings & bid allocations. Below is a comparison of the revamped layout of the regions. 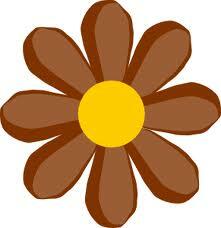 Being (brown) "fat" can be environmentally conscious /or/ metabolically warming. The Holy School of TriniT recently announced the appointment of Sir Charles to be its principal effective July 1, 2012. Charlie has been a fixture at HT for more than 30 years. In addition to serving as a teacher all those years, Charlie was the Upper Skool Coordinator for several years, and he has served as Assistant Principal. 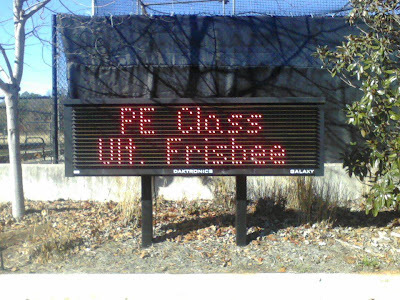 He is highly respected and well-loved, and he knows the skool and its culture. He has demonstrated his understanding of & commitment to the mission of the parish. Given Charlie's long service in both teaching and administrative capacities..., we can expect a smooth transition. Another Ultimate Science project studies whether "Force flick" is on target. Abstract: The goal of this study was to determine if certain throwing techniques for the sport of Ultimate Frisbee were advantageous relative to other techniques. The defense can attempt to force a thrower to utilize a specific throw; knowing the advantages of different throws can influence a defender’s decision to force the thrower to use a certain throw. 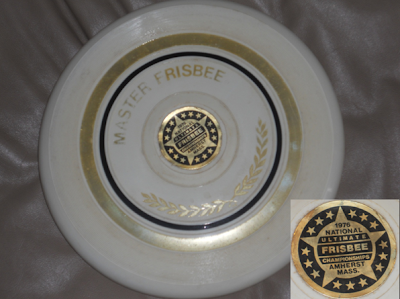 Motion capture was used to monitor the flight of a disc (Discraft Ultrastar 175g) for 3 throwing techniques. The two main groups of throws were backhand (BH) and forehand (FH) throws, with the forehand throws divided into a closed forehand grip (CF) and a split forehand grip (SF). Sixteen participants were recruited with experience ranging from 3 years to 8 years based on survey. Throws were analyzed with regards to linear velocity, angular velocity, precession, and accuracy. Players threw a total of 45 throws: five throws for all combinations of the three throwing techniques combined with three objectives: accuracy, maximum spin, and maximum velocity. There was a very strong linear correlation between linear velocity and angular velocity. There was no difference in linear velocity between backhand and forehand throws, although the closed grip forehand had a higher linear velocity than the split grip forehand. Backhand throws had higher angular velocities than forehand throws for a given speed; there was no difference in angular velocity between closed grip and split grip forehand throws. Backhand throws had less precession than forehand throws, and there was no difference in precession between closed grip and split grip forehand throws. There were no statistically significant differences in accuracy between any of the throws. These results show that backhand throws tend to have more spin and wobble less making the backhand a superior throw. Throws with less spin have greater instability; as a defender, forcing the thrower to utilize a forehand throw would result in a throw with less stability than a backhand throw. Forehand throws did not perform better than backhand throws for any category tested. Additionally, new players are often taught that the split-grip forehand is a bad throw, and that the closed-grip forehand should be used instead. The results show that the split-grip forehand performs on par with the closed-grip forehand with the exception of maximum velocity. New players should not be discouraged from using a split-grip forehand while learning the mechanics of the forehand, as the only disadvantage is a slight decrease in maximum velocity. 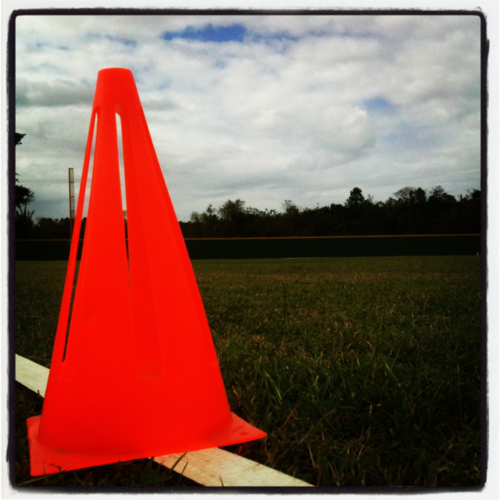 Players from DCPickup, and Dan "The Stork" Roddick are interviewed in this radio piece. 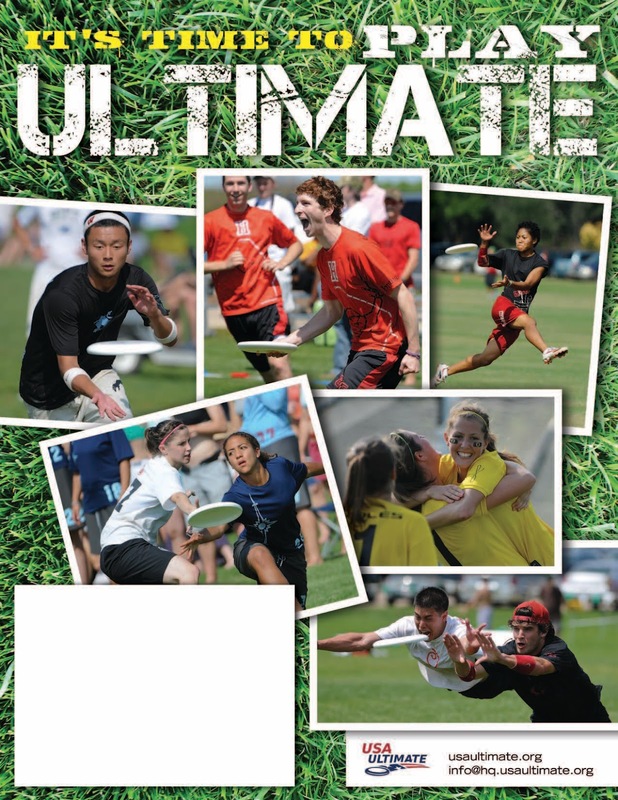 CHRISTOPHER CRUISE: The game of ultimate may not be as popular as American football. But “The Stork” says ultimate teams can now be found in many high schools and almost all colleges in the United States. And the game is played around the world. 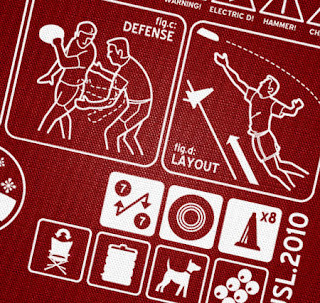 LA County's beach regs incorrectly think a frisbee is a ball. Or is it? Frisbee throwing on the beach seems to be targeted under the recently amended Los Angeles (California) County Code beach operations. 4. When using any other object over or in the Pacific Ocean opposite such beach, the person first obtains previous authorization from the Fire Chief or ocean lifeguard to conduct such activity. B. Exception for off-season. 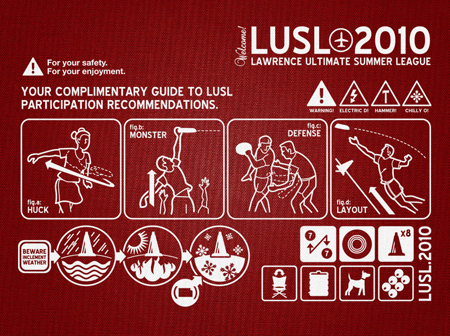 The ball-playing restrictions set forth in subsection A shall not be applicable during the period between Labor Day and Memorial Day, provided the involved ball-playing activity is carried out in such a manner so as not to endanger any person or property on or near the beach. In no event shall any structure or improvement used for ball-playing purposes be placed on the beach without the previous authorization of the Director. As it turns out, Frisbees and footballs already were outlawed “to prohibit some knucklehead from acting like an idiot on the beach," explains the county beach chief. The new rules actually spelled out that Frisbees and footballs would be allowed under certain situations, "basically, in the off-season, or with a permit or permission from the lifeguard," writes Yaroslavsky. 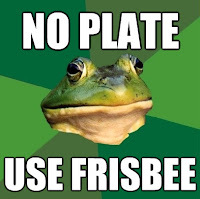 But it boils down to this: Nobody's going to get a fine for tossing a Frisbee or a ball among friends, at any time. People who repeatedly chuck them into summer crowds or disobey a lifeguard's direct orders to stop might get fined—but it would be $100, not $1,000. Definitely said/heard many of these sayings by Ultimate (frisbee/disc) players. The next edition of this commercial video should consider adding "Check feet!". 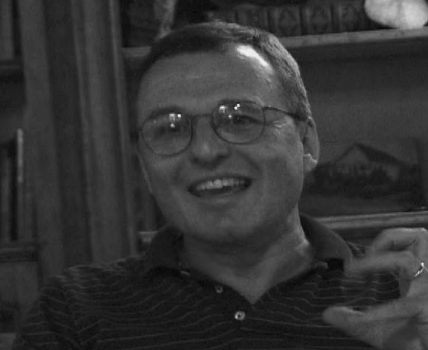 As an an Amherst College student in the late 60's, Jared Kass would frequently play a team game with a Frisbee on campus. Kass was also a camp counselor at Mount Hermon Summer School (MHSS) in 1968 where they offered "Recreational Activities". Included were touch frisbee, tackle frisbee, water frisbee, one-handed frisbee, one-legged frisbee, three-legged frisbee, frisbee basketball, frisbee roulette, and strip frisbee - obviously many experimental games with the Frisbee. One notable MHSS camper was a Columbia (NJ) High School student -- Joel Silver. Per Kass "I remember one time running for a pass and leaping up in the air and feeling the Frisbee making it into my hand and feeling the perfect synchrony and the joy of the moment, and as I landed I uttered to myself, 'This is the ultimate game. This is the ultimate game.'" SOURCE: "Ultimate: The First Four Decades"
Source: ALUPA Creative for Lawrence (Kansas) Ultimate Summer League. New York won 21-17 over New England. Ammon, Anna, Daniel, Gayle, Michael, Rachel & Steve (7 out of 11 predictors) chose correctly by selecting the underdog. Anna (21-19) was most on-point with the actual score, as was Steve (24-17); while Ammon (27-24) and Rachel (27-21) were closest to the +4 point margin of victory. Speaking of a Super Bowl, a Frisbee makes a super plate. Albeit in a different sport than Ultimate; the execution of flow remains the same -- Controlled Excitement plus balancing Challenge & Skill. Manufacturers have found a new way to appeal to eco-friendly consumers: Brown it. The Wall Street Journal lays out the trend: Dunkin' Donuts, Cinnabon, and Target are swapping their white napkins for brown ones. Seventh Generation dyes its translucent diapers brown. Cascade has introduced a new, fiber-heavy beige toilet paper it's dubbed "Moka." When asked why they went brown, companies are transparent: The color "symbolizes" eco-friendliness. Brown paper products have been shown to make people "feel like they were doing something good for the environment." Consumers need "visual differentiation" to know which products are environmentally sound. It's not even so important that a product be brown, just "that it's not white." 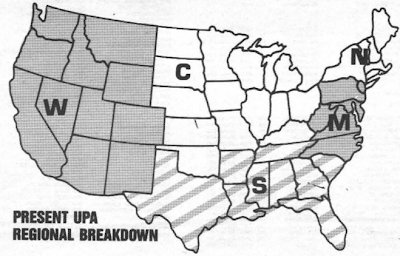 The Journal points out the obvious: Brown doesn't necessarily mean green. Today, "white paper can be made from 100% recycled fibers and whitened without chemical chlorine, traditionally the primary complaint against it." Seventh Generation actually adds a step to the production process—brown pigmentation—to make its diapers appear eco. It's not clear whether Target, Dunkin', and Cinnabon's new napkins are any better for the environment than the old ones were, they're just browner. And at this point, it doesn't really matter: Brown is firmly linked to green in the consumer's mind. Eco-minded consumers now reach for brown, flecked products because they assume less environmentally conscious paper companies would take pains to dye them white. In fact, they may be rushing to tint everything beige. The matchup of NFL's Super Bowl XLVI on Sunday, February 5th, 2012 in Indianapolis, IN is a rematch of SB42 featuring: New England Patriots vs New York Giants. 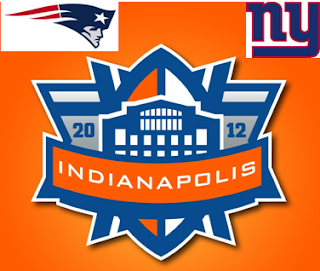 1. Who wins the game - Patriots /or/ Giants? Climate change? No, constant "Frisbee weather"